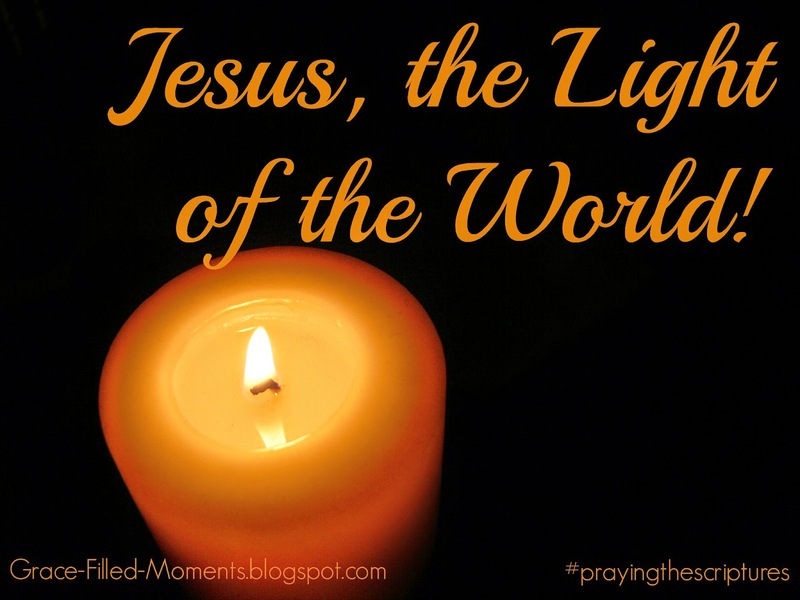 During the month of December I am taking a journey through Advent with my sweet friend, Candace Crabtree over at His Mercy is New using her Advent devotional Jesus: Light of the World Praying the Scriptures through Advent. Starting today, I'll be posting here every Tuesday and sharing with you about my time in the Scriptures that focus on light as I seek to keep my eyes focused on the True Light of the world - Jesus - during this Christmas season. In Genesis 1:1-3 we read about the creation...specifically the creation of Light. The definition of light (noun) is: the natural agent that stimulates sight and makes things visible. It's our understanding of Who Jesus is that invades our dark, sinful hearts with the light of salvation that comes through Jesus Christ alone. The light of Jesus makes the darkness of sin in our lives visible to us so that we can repent of it. Once the light of His saving grace penetrates our hearts and brings us to repentance, we come face-to-face with His love and His mercy in the forgiveness of our sins. How has the light of Jesus penetrated your heart? Is there an area of your heart that you've tried to keep hidden? Surrender it to the Light of Jesus today dear friend and receive His forgiveness! Love this! And I love that you will be posting every Tuesday, can't wait to come back and read how God is speaking to you. I have loved focusing on LIGHT in the Bible, something I've never done before. Jesus LIGHT of the world! !